I can hear you asking me several questions. First, why did they re-examine the data? Previous study had shown that only about 30% of people diagnosed with “undifferentiated arthritis” eventually are diagnosed with rheumatoid arthritis (RA). So if everyone in the trial had undifferentiated arthritis, but only 30% of them were actually ever diagnosed with RA, then the trial would have poor results. It would be impossible to prevent RA in the majority (70%)—because they wouldn’t be diagnosed with RA anyway. The effect was to dilute the study results. In the new analysis, they excluded results of people with a low risk of being diagnosed with RA. They only included people with a high risk of RA. How often did they delay or prevent RA? In all, 22 people had a high risk of RA. Of those who received a placebo (no real treatment), 11/11 or 100% were eventually diagnosed with RA. Of the 11 people treated with methotrexate, only 6 people or 55% were diagnosed with RA after 5 years follow up. The diagnosis of RA was also delayed in the methotrexate arm of the study with an average of 22.5 months versus 3 months with placebo. 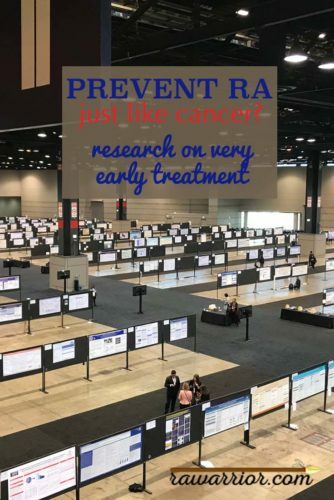 What do we mean by prevent RA? This question is a little tricky. Clinical diagnosis of RA aka rheumatoid disease (RD) is a bit of a semantic argument. If we know someone with RD symptoms, we might think, “They have it, but they’re not diagnosed yet.” However, in the medical community, you don’t have it until you are diagnosed. 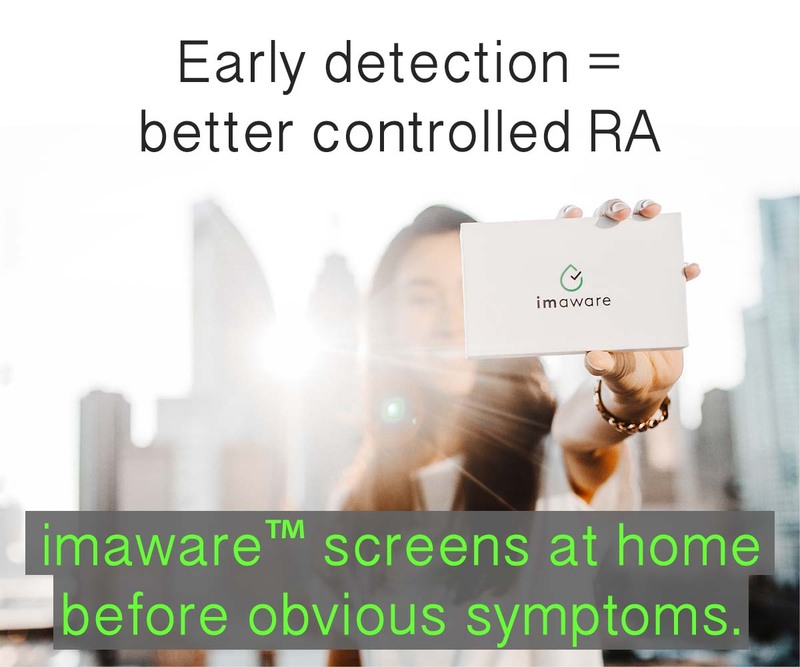 To be diagnosed with RA, you have to show “clinical” symptoms to a rheumatologist so that she is convinced you meet the criteria. That’s why you’ve heard me say over the years that people usually have to be swollen in the right place (hands) at the right time (during a clinic visit) to be diagnosed. Then, it will say in your medical record that you had RA since that day—not whenever your symptoms started. If you’ve read my book, you understand the distinction because you know that RD doesn’t start in the hands and hand swelling is seldom the first symptom. You also know that investigators are working hard to learn how it starts so we can learn to stop it. For about a decade, I’ve been saying, “Arthritis is just one symptom.” And it’s absolutely caught on to begin changing the mindset of RA as a type of arthritis. 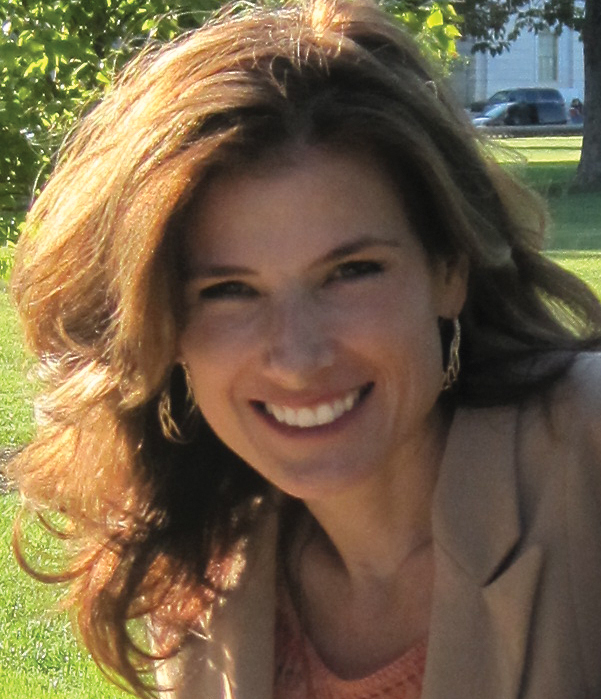 But now we need to add this: “Think like cancer doctors” to prevent RA / RD. In the PROMPT trial discussed above, it only took a one-year course of methotrexate to prevent or delay “clinical” onset of RA / RD. If you’ve read my book or much of my blog, you know that RD was already present in their bodies—just not showing up in the way that rheumatologists diagnosis it. The one-year of methotrexate—very early in the disease process—stopped the disease in its tracks the same way that a course of chemo or radiation could stop cancer cells from dangerously growing. I’ll have more to say on how to “think like cancer doctors,” but I’d love to hear what you think of this. What was the first RD symptom in you or the patient you love? Leave me a comment below; you are also a great resource for other readers. 1 Burgers LE, Allaart CF, Huizinga TW, van der Helm-van Mil AH. Clinical Trials Aiming to Prevent the Development of Rheumatoid Arthritis Cannot Detect Prevention without Adequate Risk Stratification; A Trial Performed in UA-Patients As Example [abstract]. Arthritis Rheumatol. 2016; 68 (suppl 10). https://acrabstracts.org/abstract/clinical-trials-aiming-to-prevent-the-development-of-rheumatoid-arthritis-cannot-detect-prevention-without-adequate-risk-stratification-a-trial-performed-in-ua-patients-as-example/. Accessed January 20, 2019. Excellent post. Screening for RD by checking for known autoantibodies such as ACPAs or RFs is exactly akin to getting a pap-smear or a mammogram to screen for cancerous cells, but even easier for both the patient and the healthcare professional. The way of the future is early detection and being able to do complex screens of at-risk children to treat them with personalized treatments that target specific cells and essentially prevent the formation of disease. The path to get to early treatment now, while we still don’t have those futuristic diagnostics or therapies, is by earlier and earlier detection. Yet, most people can’t get a diagnosis until they present with irreversible damage. This is the case with systemic autoimmune diseases. I recently learned that MS patients can’t get a “clinical diagnosis” until they have a brain lesion detected by MRI. Not diagnosing or treating people until they have full-blown or late-stage disease is never going to be effective since uncontrollable inflammation is occurring before symptoms are even known. 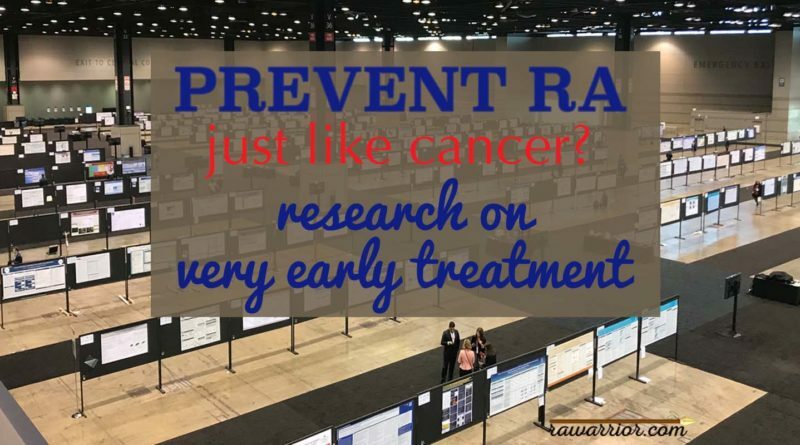 This is why (besides the fact that the treatments we have, especially methotrexate, are primitive) the “early” treatment only helped 36% of people in this study achieve remission… their definition of early is already too late. I am an unclear that you can “prevent cancer” by early treatment. I think the issue is oncologists DO NOT restrict parameters of diagnosis of cancer to a few very limited and inconsistent list of critreria. you can’t “prevey cancer by early treatmant. You can , hopefully , reduce the speed of the disease, reduce the severity of destruction and Even cure it in ever earlier stages by trating it sooner. The goal for RD with rheumatologists should be similiar, as you suggest, to that of oncologists. Increase parameters of symptoms, include medical history, LISTEN to the patient. If in the 21st century a doctor denies someone has cancer till huge tumors visibly seen , that docotr is in danger of loosing their license at the least. I agree with the data (in again), the medical community needs to STOP denying the possibilty of RD until a hand is grossly mistorted. 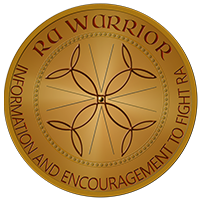 We must NEVER allow our doctors to refer to us as RA patients. The difficulty is always the same which is who is at risk. Ankylosing spondylitis is a little clearer, with the HLB-27A marker. But for RD in general and the various variants, it seems almost impossible. As for the family relationship this disease is so hidden that it seems unlikely most would be caught. In other communities where the family relationship is even well defined the instance of sign up for preventive trials is so low it is difficult to keep the trials going. I know this is early and it may lead to more research, in fact I hope it does. Finding the a biomarker that is easily tested for, would be a wonderful advancement. Someday I hope my grandchildren might use such a biomarker to avoid RD. Unfortunately that day seems far away. But hey we need to start somewhere and this is as good as any. great discussion Rick. Good to see you. I know there are several antibodies for RD, but some trials have shown ACPA’s as early as 10 or 20 years before swollen hands show up. So we are at the beginning—not the end—as you say, but we do have things we can do. I posted about a new at-home screening test today that will at least catch some people earlier. The information presented in the research is interesting, but I have a question. If 30% were high risk and that accounts for 22 people, are 22 people enough to validate research. The number seems somewhat insignificant. I am not as familiar with medical research, but thought the numbers were usually higher. Also, what happened with the VectraDA test? I know the Vectra test is specific to disease activity, but it tests for specific biomarkers — if those are evident in disease activity, could they not be used when a diagnosis is challenging? My RA/RD showed up in my knees when I was 15 years old, after diving at the YMCA, which I’m pretty sure was coincidental. It was such a fast onset, I’m not sure if I would have been someone that would’ve even had a chance for early treatment. After a week of my knees hurting, and hiding it from my parents,(after all what 15 year old can’t get off the floor), I finally told my mom about my pain in my knees. We both dismissed it as growing pains. The morning after I told my mom about my knee pain, I woke up with my fingers swollen and knots on my wrists. I couldn’t dress myself, or brush my hair or cut my pancakes. My mom took my to my PCP that day and he told her he thought it was RA and referred me to a rheumatologist. After aspirating fluid off of my knee I was diagnosed with RA. That was 30 years ago. After gold treatment for three years, my RA went into remission. Four years ago, after my dad died, it came back. After he passed away my whole body hurt and my sed rate came back twice it’s normal level, and my PCP again referred me to a rheumatologist. I’ve been battling this for four years now. I have an appointment tomorrow with my Rheumatologist. My hands hurt so badly, as do my shoulders, elbows, ankles, neck and jaw. I have been on Enbrel, and I swear it’s quit working. Anyway… sorry, I digress. This was about my first symptoms. Thanks for this site Kelly.